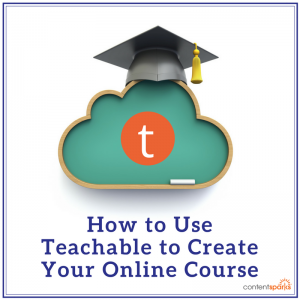 Teachable is one of our favorite platforms for publishing online courses. It's easy to use Teachable – both for the course creator and the students themselves – and it has lots of different great features that can help make your course unique. It's also particularly great for Content Sparks content, since the structure that Teachable uses is similar to the way we break down our courses – by module and then key sections. But learning a new platform always takes a little time… especially if you want to get the most out of it. So, we've put together a few pointers on just how to get started with using Teachable. Take a look at these and you'll be putting your Content Sparks' courses to work in no time, or any content you want to create as a course! Once your course is published, and you're ready to start taking on students, you'll need to market it. Teachable allows you to create a dynamic and unique sales page, so you can get all of the right information out there to prospective students. To really get a handle on Teachable we suggest you sign up and get started creating your own online course. Work through their tutorials and you'll get a feel for the platform in no time. 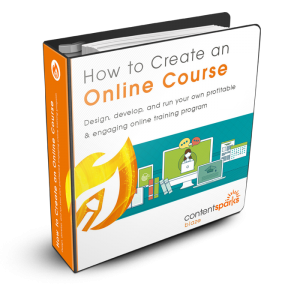 Want to learn more about creating an Online Course? You can even use the materials to guide you when you create your own Online Course :).